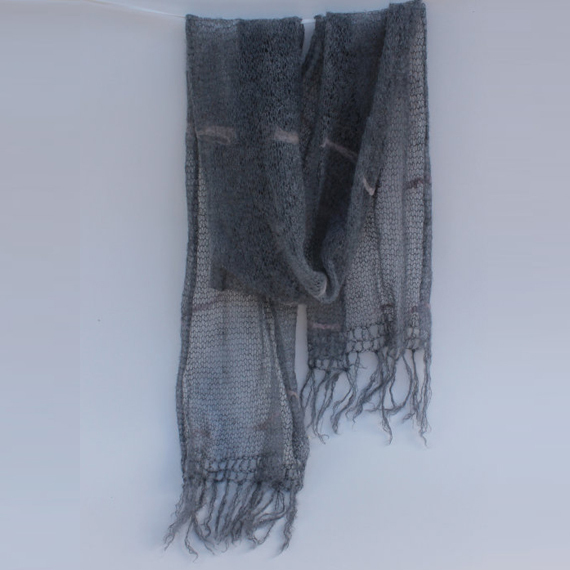 These mohair scarves are soft and light, and they are wearable in all seasons. Hand spun mohair with felted details. The Keiskamma Art Project gets these handmade mohair scarves from another group in the Eastern Cape. These mohair scarves are soft and light, and they are wearable in all seasons. In the winter, wrap it around your neck a few times to keep warm, and in warmer weather, wear it as a light evening layer.